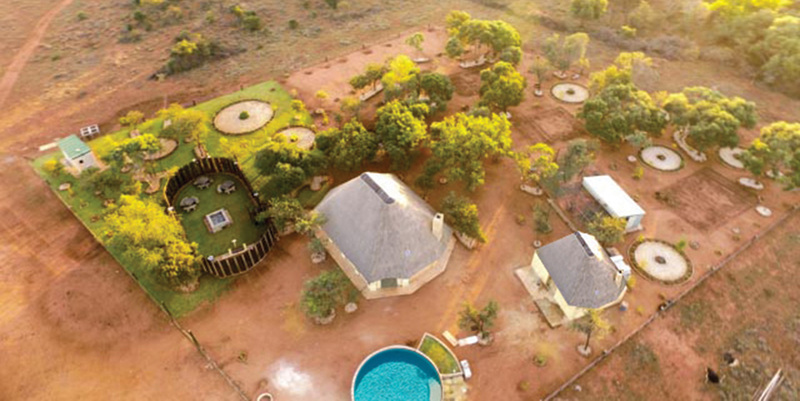 A warm Northwest welcome awaits you at Shingalani Bush Camp situated in the Kommando Nek Wildlife Reserve, overlooking Hartbeespoort Dam and overshadowed by the Majestic Magaliesburg Mountain Range. 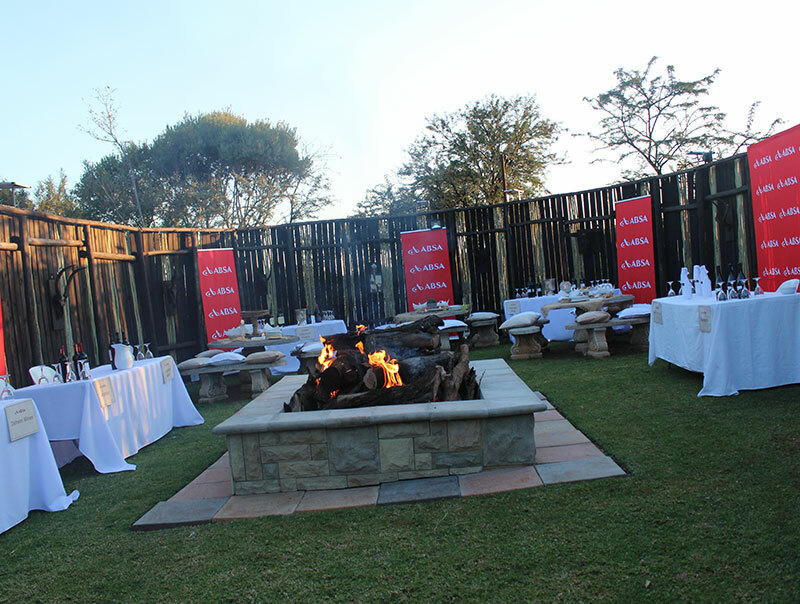 The location, just on the doorstep of Gauteng makes it the perfect venue to host corporate breakfasts, lunches and evening events. 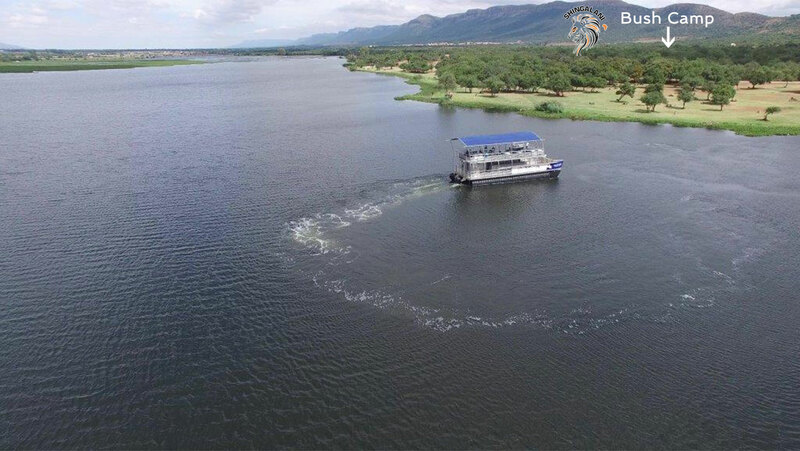 Combine this bush experience with a boat cruise for your team or clients and you have the makings of a great day out in Harties. 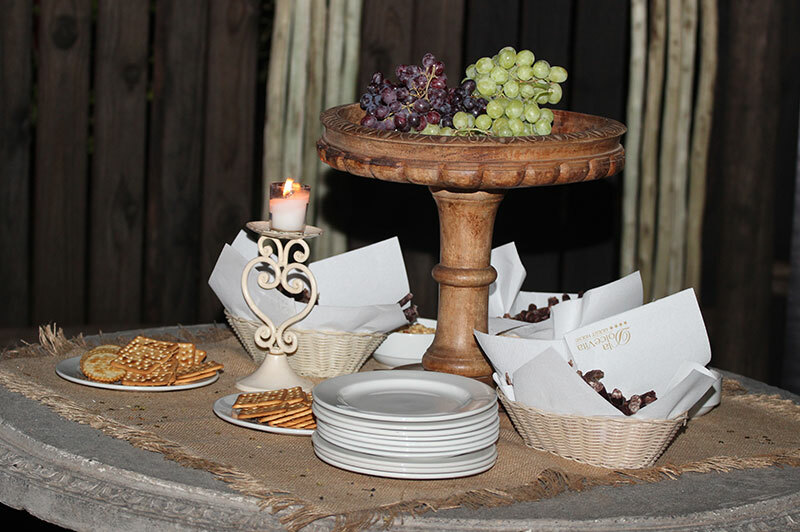 The venue has hosted the most romantic "Out of Africa" weddings for up to 200 guests and is sure to host many more. 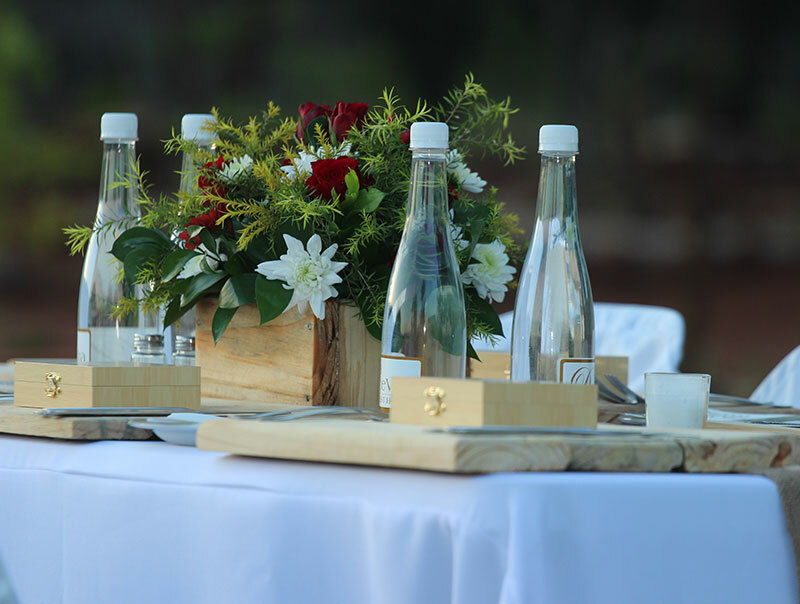 Our wedding co-ordinator will be happy to see to all the brides needs and wants and make it a day the couple will remember for the rest of their lives. 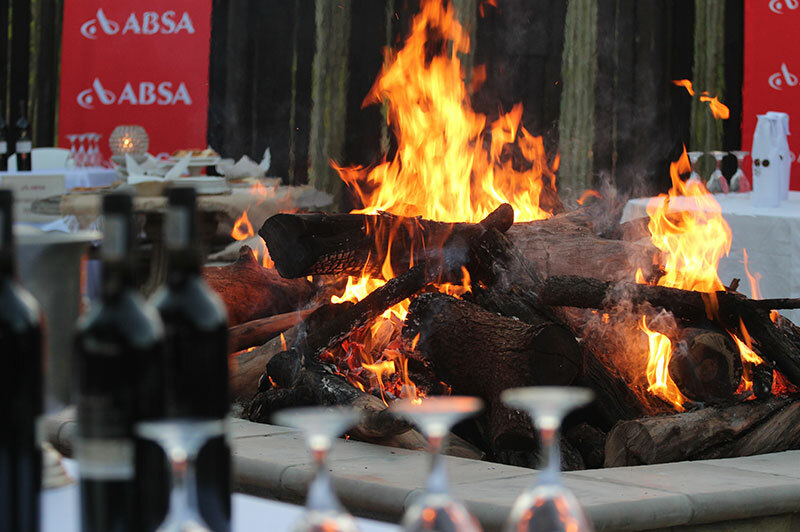 Menu's can be custom made to suite every taste but you need to try our famous Northwest Bush Braai menu which is always a winner. We operate daily game drives on open safari vehicles in the Kommandonek Wildlife reserve, a 200 hectare amazing natural African bushveld with an abundance of birdlife, flora, fauna and wildlife which includes giraffe, sable, water buck, zebra, blesbok, kudu, nyala, wildebeest, eland, impala, spring buck and warthog to mention a few. Vehicles depart daily from Harties Harbour under the expert guidance of our friendly and knowledgeable game rangers. You might even want to grab some of that Boere broed and have it with a selection of Jasmyn Jams. 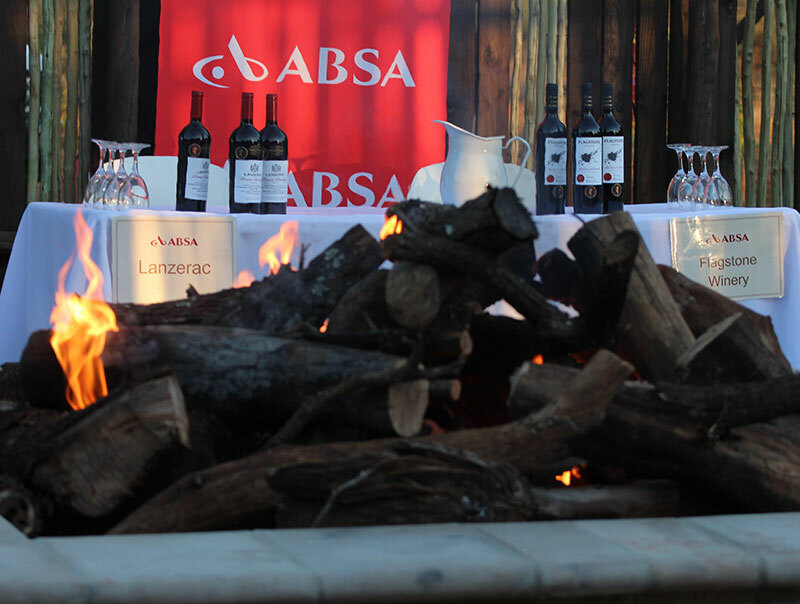 ABSA Bank recently hosted an event for their top 80 Northwest Clients at the new Shingalani Bush Camp, situated within the Harties Harbour and Kommando Nek Wildlife Resort. They flew 10 of the top Pinotage wine makers from the Cape and accommodated them at the nearby La Dolce Vita Guest House in Kosmos from where they were collected with open Land Rovers and brought to The Bush Camp after enjoying a brief game drive, they set up their tasting tables in the open Boma. 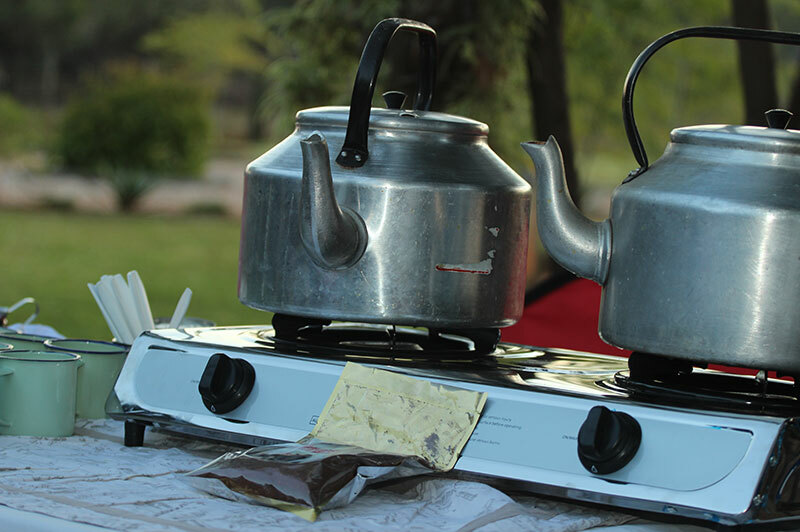 Guests started arriving at sunset to enjoy an Amarula Suprize Welcome drink and wilst watching the wildlife come to graze right in front of the camp. 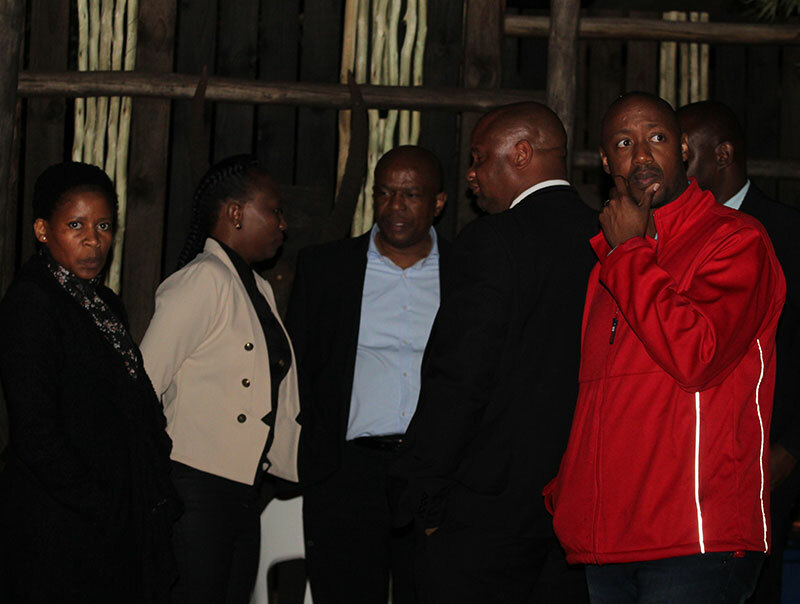 As the sun dipped over the Magaliesberg Mountain Range guest entered the Boma to a warm centre fire and started socializing and tasting the various top 10 Pinotage Wines of 2017. The drums beckoned all to the main Lapa were tables were set up in a stylish “Out of Africa” theme and came complete with a gift for every guest. 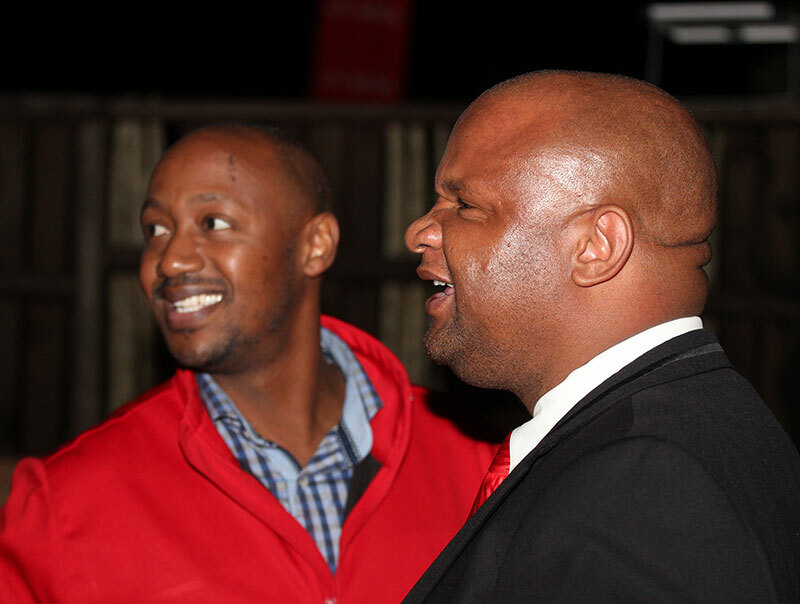 After an entertaining and enlightening welcome and thank you speech by ABSA’s Phenyo Moremo guests enjoyed a traditional Northwest bush Braai menu complete with "Moer Koffie" and Hertzhoggie cookies. 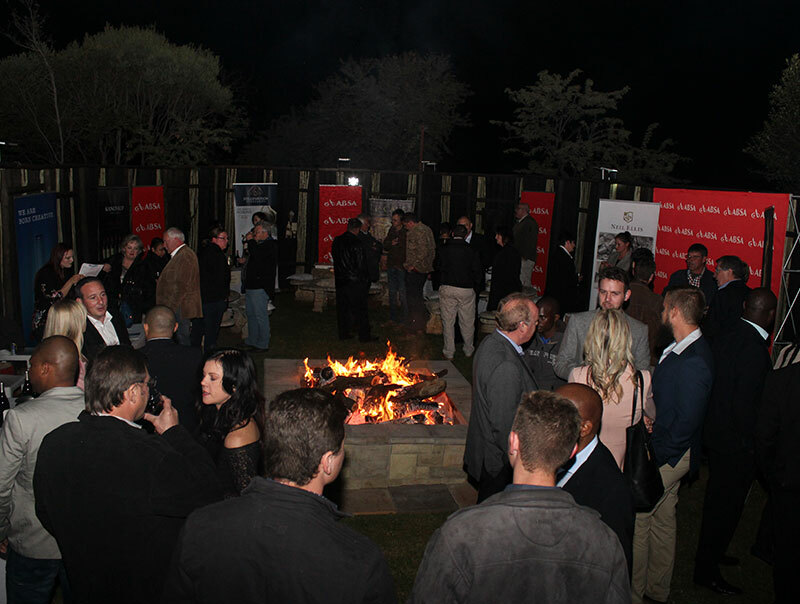 Guests then mingled with wine makers and ABSA staff in the Boma and a good night was had by all.